Contemporary, Modern Rustic custom Dining Chairs. Custom Walnut Dining Chair-Martins-detail of hand carved seat. The Martins walnut and cherry custom dining chair. 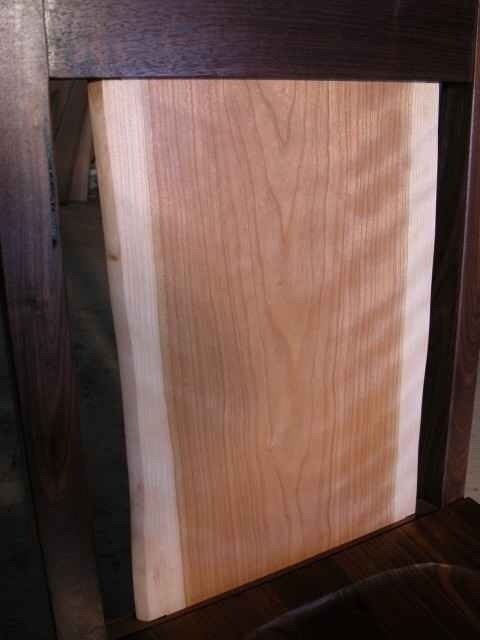 This custom chair features a carved seat and a curly cherry natural edge back rest with ebony accents.